The 23rd UN climate summit is officially in the books. This year marked the first time that a COP took place right in Bonn, Germany – right outside the UNU-EHS offices. This presented us with a unique opportunity to attend with an even bigger delegation than usual: in fact, staff from all academic sections of UNU-EHS were involved, taking part in 40 events. 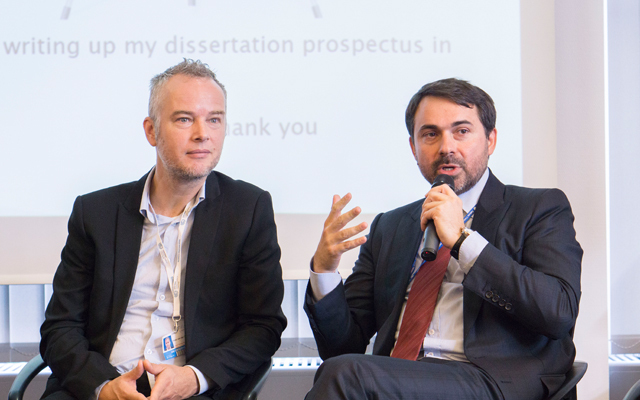 For the 1,500 journalists attending the conference, UNU-EHS held two briefings. The first was dedicated to climate migration in the Pacific, during which Dr Cosmin Corendea launched his new policy report, Migration and human rights in the wake of climate change: A policy perspective over the Pacific. He was joined on the panel, among others, by Dr Robert Oakes, who also spoke about his research on climate migrants. The topic was picked up by several important media outlets, such as Thomson Reuters, The Guardian and Deutsche Welle. 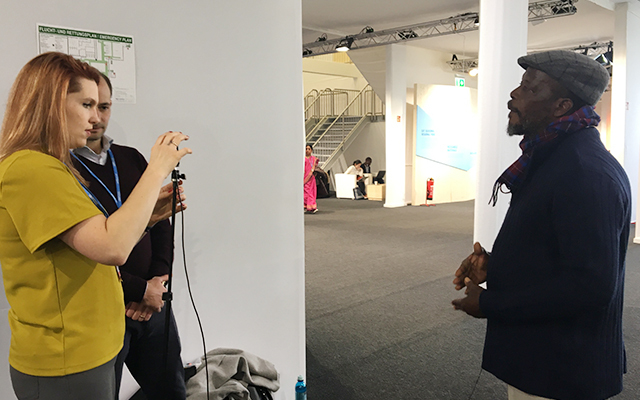 The second press briefing was hosted by the Munich Climate Insurance Initiative (MCII), and commented on the state of play on climate insurance and related discussions at COP23. 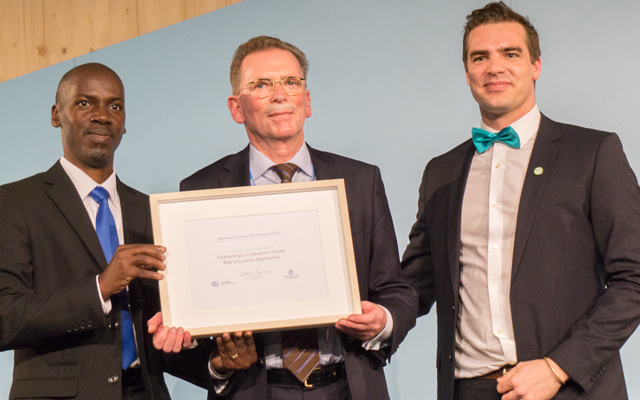 MCII also received the prestigious Momentum for Change Award by UNFCCC for bringing climate insurance to vulnerable populations in the Caribbean. For this occasion MCII was joined by two local stakeholders from St Lucia, Walter Edwin and Severin Francois. The Momentum for Change showcase coincided with the announcement of the Global Partnership on Climate and Disaster Risk Finance and Insurance Solutions. Due to these diverse activities, MCII was featured in a number of news pieces, including The Guardian, Thomson Reuters and the German TV channel, ZDF. Two colleagues from our section focused on vulnerability assessment, risk management and adaptive planning (VARMAP) launched their new InsuRisk Assessment Tool at COP. Dr Matthias Garschagen and Michael Hagenlocher built the prototype to assess not only the disaster risk of low to lower middle income countries, but also their readiness to accommodate insurance solutions. You can hear them speak about the project here. Dr Simone Sandholz’s research on adaptation was featured on a Facebook live show produced by the German network, Phoenix.